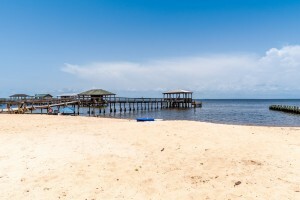 Point Clear Landing is not your typical Fairhope AL condo development. For starters, you don’t have to sacrifice square footage for low maintenance living. Our real estate team recently listed a two bedroom, corner unit with over 1700 square feet of living area and each of the bedrooms can accommodate a king-sized bed. There are also three levels of outdoor living space, from the screened-in porch on the 1st level to the two upper decks overlooking the marina. Each unit also enjoys the luxury of having its own private elevator, that operates on all 3 levels. You will also find the comforts often limited to a traditional style home, like gas log fireplace, spacious dining room and a wet bar. 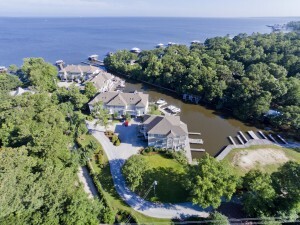 The most sacred amenity of this well established development is the location between Scenic Highway 98 and Mobile Bay. 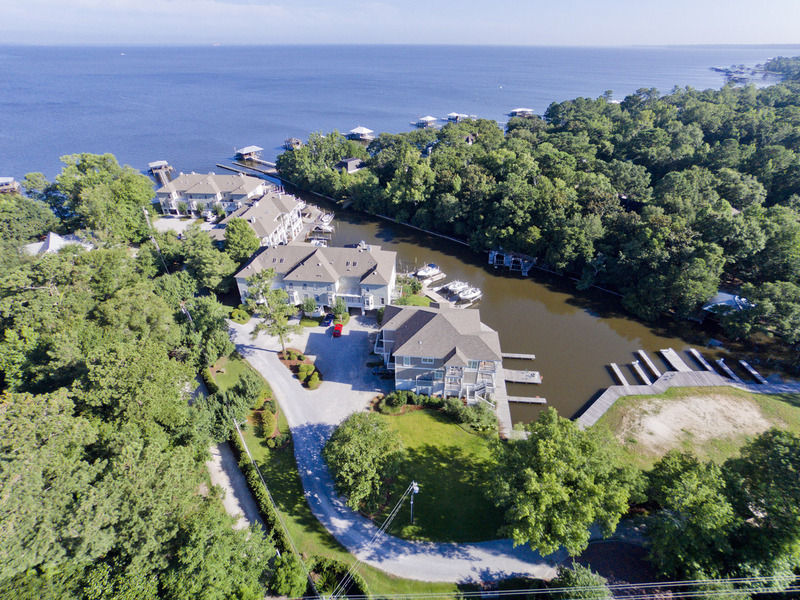 Each unit has a deeded boat slip in a protected water marina, shielded from the elements and occasional rough waves that thrive is such a large body of open water. 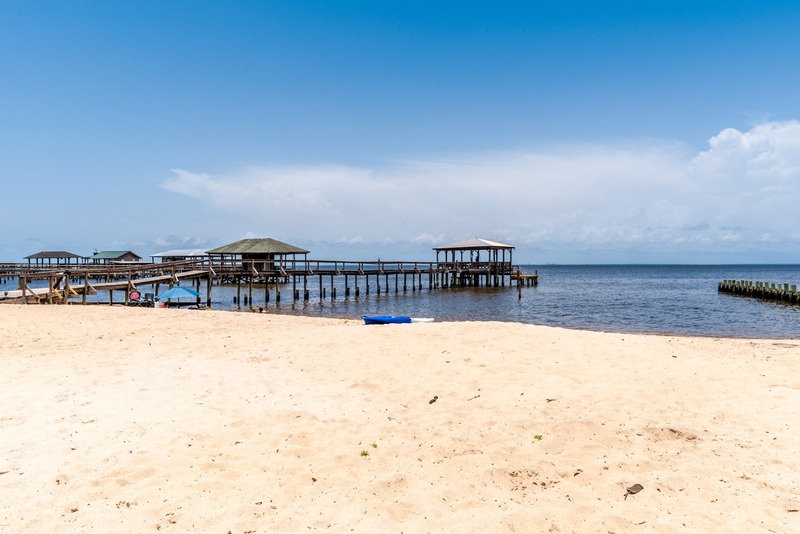 Point Clear Landing also offers residents and their guests a large private beach, providing an ideal spot for sunbathing, sandcastles, kayak launching and easier access to the water for small children and pets. There is also a private community pier, where cocktail hour starts promptly at 5 p.m. and lasts until the brilliant orange sky slowly sinks below the surface of the bay. It is also important to mention the close proximity to the resort style amenities of Marriott’s Grand Hotel, which is just a stones throw away. The Grand Hotel offers pools, tennis courts, championship caliber golf and a spa. If you love to boating, fishing and golfing, then Point Clear Landing just might be your ideal slice of paradise. For avid fitness buffs, the Eastern Shore Trail along Scenic Highway 98 is an ideal place for walking, running and biking. I would imagine my own idea of a perfect day would be to start early, before sunrise, gathering live shrimp. Then set out across the Mobile Bay to Gravine Island, an excellent fishing spot for Speckle Trout and Redfish. We would catch our limit and ride back to the condo with the sun setting at our backs. After cleaning the boat and the fish, I would head upstairs for a nice hot shower, while the peanut oil begins to simmer. Refreshed from the steam of the hot water, I would focus on preparing the white fillets with a thin coat of Zataran’s fish fry. Next, I would slowly lower small handfuls of the meat into 350 degree oil until crispy and golden and then squeeze ripe lemon over the overflowing platter of fish. You can literally re-invent your own perfect day with all of these amazing amenities at your fingertips, which could begin with a relaxation message with your spouse at the Grand Hotel spa. Tour Point Clear Landing Fairhope AL condos for sale with the Jason Will Real Estate Team by calling our sales office at 251-866-6464.